Ideas make a difference in the life you live. The idea always comes first and the experience follows. The ideas you will encounter in this book are to be used. They are ideas that can make a difference in the life you live. They are interesting and easy to read. But their value can be assimilated only by going beyond the mere words themselves and grasping the full impact of the meaning behind them. If it is time for you to move on to something better in life, you can find the ways and means on these pages. 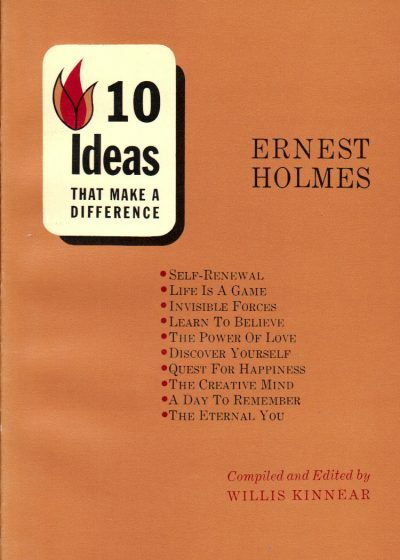 The ten basic ideas you will find deal with ten important areas of living that often present problems. In a dynamic way each problem is clarified and specific methods are presented for the working out of a solution. Life is largely a matter of what you make it, and here you will find the ways and means of making it more of what you think it should be.